Have you ever wanted to participate in a Bible Study from Genesis to Revelation and could not commit to the time and demands of DISCIPLE Bible Study? HERE IS AN EASIER OPTION! Disciple Fast Track maintains the integrity and principles of the original study, but its modifications can better meet the needs of a hectic world. Participants still receive a thorough introduction to the Bible, but in almost a third less time. The course uses the same Disciple Study Manual, but the class time and course length have all been adjusted for busy lifestyles. Additional print and video materials, which are extremely easy to use, give participants the tools to absorb and retain what they learn in this shortened format. Classes meet for a total of 24 weeks – There are 12 sessions in the Old Testament and 12 in the New Testament. Each group session lasts 75 minutes – This is half the time of traditional Disciple classes. Churches are able to fit classes in on Sunday mornings, lunch hours, during evening children’s programming and even early in the morning before the work day begins. Traditional small groups that meet in homes easily cover the material within their normal time frames. 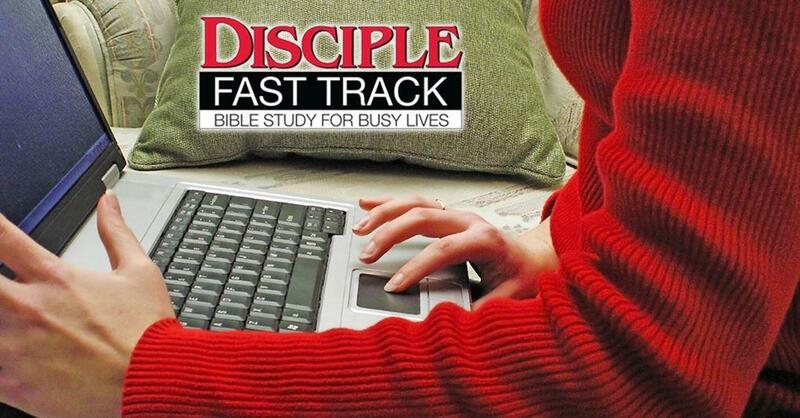 Are you interested in starting DISCIPLE Fast Track in January? First UMC is looking in to starting a group in January. The Old Testament would be covered in the winter/spring and the New Testament would be covered in the fall after a summer break. Meeting day and time to be determined by participant availability.